I have been sporting bright lip colors a lot lately, but I still feel most comfortable wearing sweet pink lips paired with dark smoky eyes. 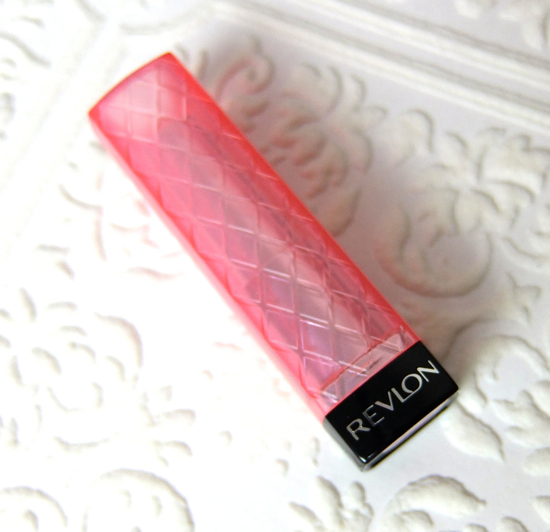 Revlon ColorBusrt Lip Butter Strawberry Shortcake is one of those perfect pale pink for my light neutral complexion. I am pretty much over Revlon Lip Butters and have not been reaching for them except for the Strawberry Shortcake, which makes me think it deserves a separate post. 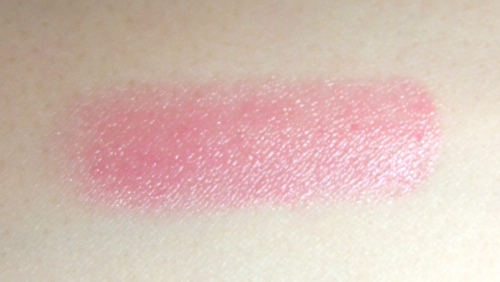 You can find a collective swatch post on Revlon Lip Butters here. Strawberry Shortcake is a light blue-based pink with fine silvery shimmer. It is light enough to comfortably pair with dark smoky eyes without having to worry that I would look garish, but it isn't too light of a pink that would make me look washed out, either. It feels smooth and moisturizing on lips but it goes on a little thick. The formula warms up soon and the finish looks more natural eventually. This is how Revlon Lip Butter Strawberry Shortcake looks on me. This is rather a signature face of mine. Dark shimmery eyes, blushed cheeks and light pink lips. I adore the color of Strawberry Shortcake, but its formulation is not exactly a winner for me although it is better than other Lip Butters I've tried so far. I just prefer something that feels lighter and adheres better on my lips with shinier finish. To me, Revlon Lip Butter is more of a traditional semi-sheer lipstick, and the occasional inconsistency in pigmentations does bother me a little. Luckily, Revlon Lip Butter Strawberry Shortcake is not a terribly unique shade. NARS Sheer Lipstick Roman Holiday and MAC All Styled Up are close (they don't have shimmer, though) with preferred formulations for me. So bad the formula is not enoguh good, but the color is very pretty and soft! I can't stand these. They're melty, patchy and breaks in the tube constantly. I did like Candy Apple a lot though. Recently tossed Tutti Frutti. I think drugstore lippies have come so far since. Remember when people went all crazy over lip butters a few years ago? I think I was impressed by them back then.. I haven't experienced any of the issues you mentioned, but I'd spend my money on something else at this point. Glad you like it! I have this too and I think it's the lightest pink I'd go with, it's not that pale on my lips since mine are really pink toned naturally but I totally need to pair this with a heavier brown eye otherwise it's a bit strange on a bare face. I've had bad luck only with the lip butters with glitter otherwise all the rest have been great for me! I am the same way! This is the lightest pink I'd go with, nothing lighter otherwise I look too pale and lackluster. I think dark brown smoky eyes would go wonderfully well with Strawberry Shortcake. This is a great shade for you! I'm impressed how smooth it looks - the lighter shades of these Lip Butters don't look that great when I put them on (lip creases, anyone?) I do have much better luck with darker shades like Candy Apple and Wild Watermelon. I agree. The lighter colors feel thicker and uneven. I need to give sometime for them to warm up so it looks smoothed out. They don't do anything about lip-smoothing, though. You look so pretty, Lena! I actually really like the formula of the lip butters, in general, but Strawberry Shortcake doesn't look very good on me. I love it on you, though! Lip Butter is a great lipstick range if you like lipsticks. I guess I am more into some other formulations. I think you're the only blogger I know that really DOES have a signature look! I love it! You always look so polished and pretty. This looks gorgeous! I'm looking for light pink lips too, so I'll get this for sure! Hey Lena, so sorry to hear it's not a winner for you! I get what you mean tho. I got two of these, and I didn't like any of them. I know there are better ones. Perhaps I just picked the wrong shades! For its price, Lip Butter is great, but I never understood the hypes and markups when it was all the rage a few years ago. Nice colour! Sorry to hear the formula doesn't work very well though. Your signature look is gorgeous, Lena :) Beautiful pinks and subtle smokiness. 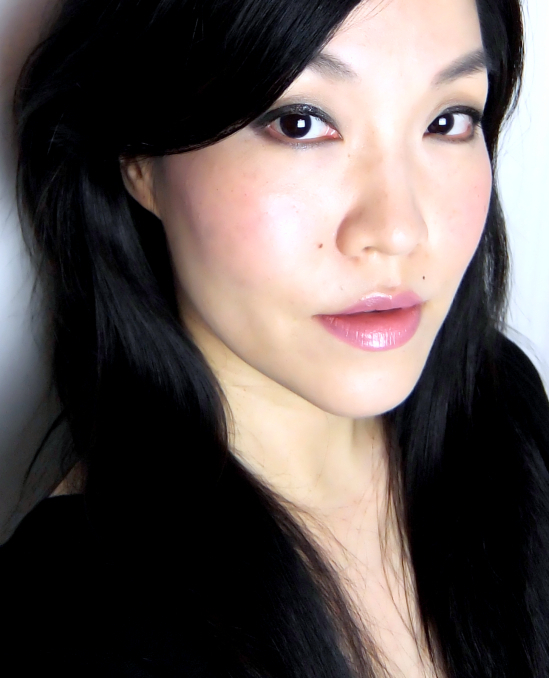 It actually requires more work than a look with bright lips, but I feel like myself with this smoky light pink combo. That looks gorgeous. I can't believe I still haven't tried any of the lip butters! I find most of them have glitter and I don't like that. Thanks for stopping by and for following me as well. i've come to really enjoy the lip butters i have after not being all that wowed about them to begin with. i opted for hte maybellien whispers when those came out. strawberry shortcake wouldn't be one i would get though. it leans a bit too cool for me. I think Maybelline Whispers are closer to L'Oreal Le Balm, which I actually like enough to repurchase two shades recently. This is a pretty shade,Lena! it might be too cool for me though.. but it looks beautiful on you! I was looking for juicy papaya on my trip to indonesia but it was sold out everywhere.. I found it in Singapore but I refused to pay SGD$ 29 for it! I definitely don't think any Lip Butter is worth that much! In fact, I try to wait until a sale is on when I buy drugstore makeup. They go on sale practically every other week. I used enjoy the lip butters! But then something happened hahaha... The part that actually touches the lipstick somehow transfered. The appearance of silver flecks all over the bullet surprised me but it went to bin once I realised what actually happened. Perhaps this only occurs in hot and humid climates? Oh wow, I still have a tube from the launching year (I don't use it but I keep the color because it is discontinued. ;p), but I have yet to see discolorations like that. That would be disturbing for sure. I need to get those old lip butters back out of the drawer now!